H.14179 This beautiful home features the quality, upgrades and location you have been searching for! With a total of $55,000 in builder options plus thousands in extras that the owner has installed, there is nothing that has been overlooked. 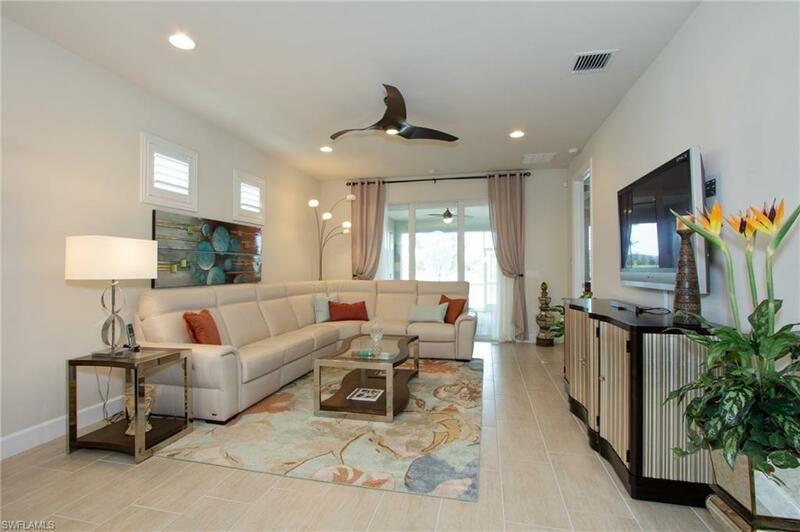 A myriad of desirable features such as Plantation Shutters throughout, custom closets, kitchen with upgraded cabinets & appliances, gas cooking, quartz counters, oversized stainless sink + much more. See attached supplements for a comprehensive list. 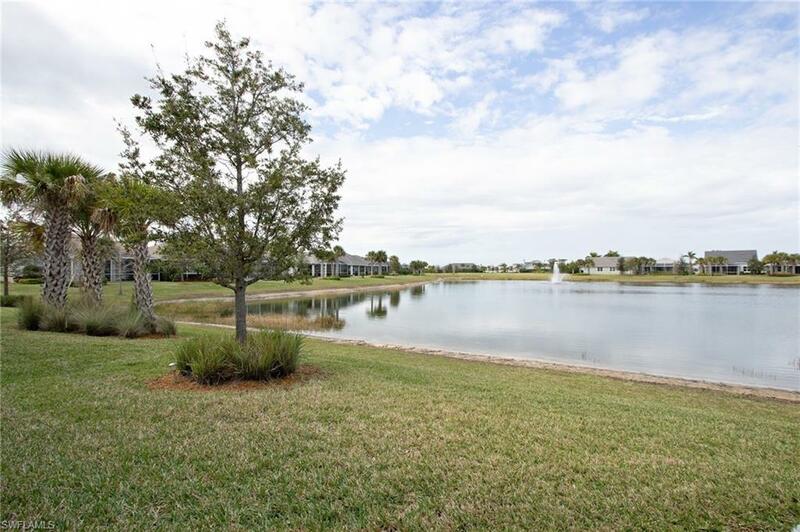 Situated on a PREMIUM lakefront homesite with gorgeous long view of the sparkling lake with fountain from your spacious extended screened lanai that is pre-plumbed for gas outdoor kitchen plus room to add a pool. The den/3rd bedroom can meet your needs for a home office/TV room or guest bedroom. 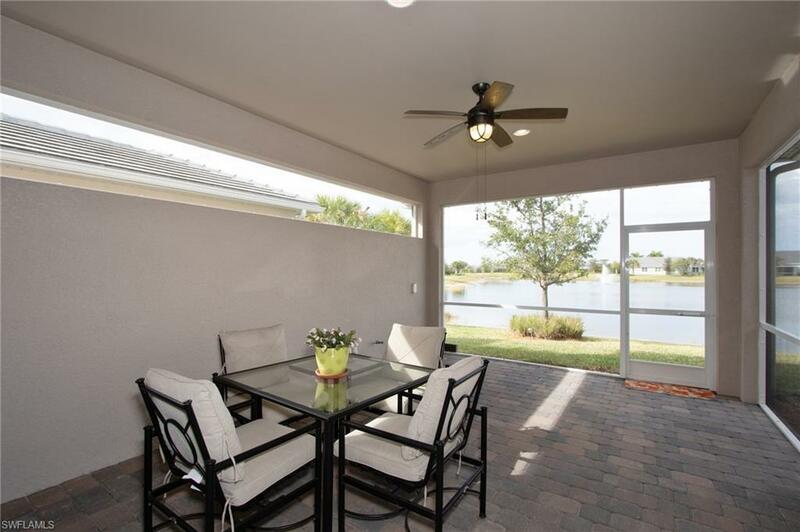 Tidewater is the most active, friendly 55+ community and best location in Estero. Close to shopping and dining and less than 10 minutes to the airport, yet NOT in the flight pattern. 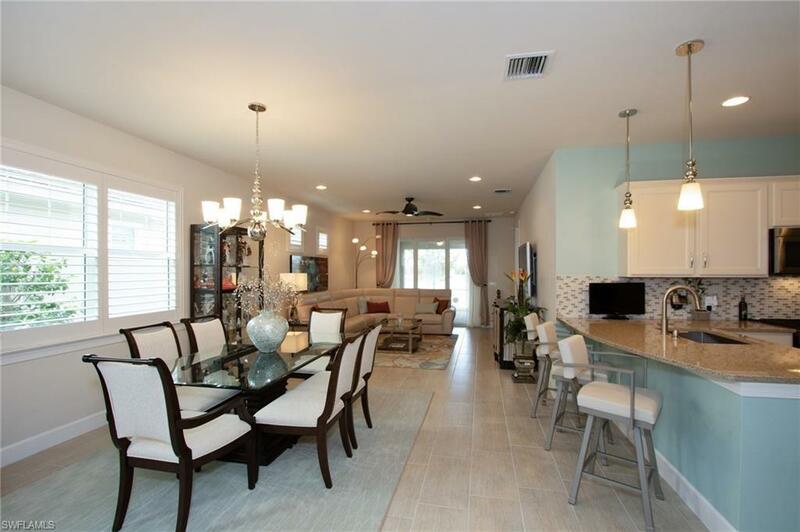 Why go through the aggravation of building when you can move in and enjoy this home NOW. The builder does not have any lake lots left that are nearly as nice as this one, so hurry as this is truly a one of a kind value!